While last year’s iPad mini upgrade was minimal, solely bringing over the gold color option, Touch ID sensor, and in-app Apple Pay from the larger iPad Air 2, we believe that this fall’s tablet refresh will be more substantial. The latest rumors and claims from sources indicate that the new iPad mini will slim down to the thinner frame of the iPad Air 2, while also adding in improved camera sensors. 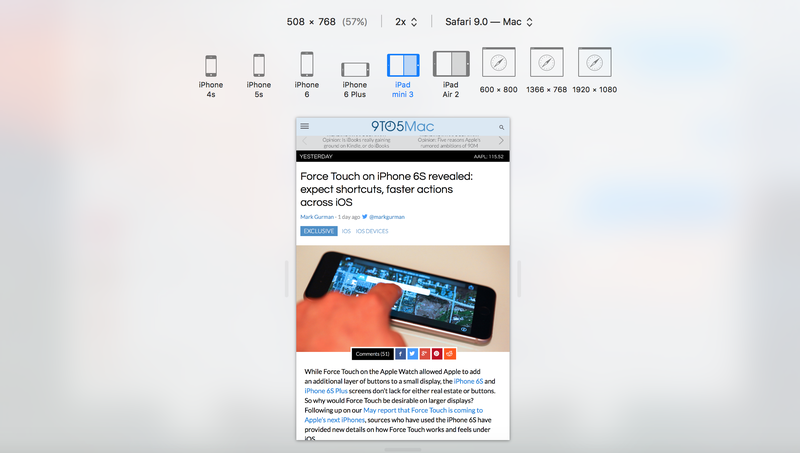 In order to support the split-screen apps feature hinted at by Safari 9, a faster processor (at least a version of the iPad Air 2’s A8 chip) is another likely addition. Apple is holding its next media event on Wednesday, September 9th, and it possible that it could debut the new iPad mini alongside the new iPhones. Also taking advantage of full-screen apps, a larger 12.9-inch “iPad Pro” with Force Touch and a stylus is likely in the cards for the fall.